Larger insects like orthopterans and dragonflies are represented mostly by isolated wings. This phenomenon may be explained by fish predation. Chemical composition of remains have not been investigated so far; however, the state of conservation is probably exceptional in this respect also. 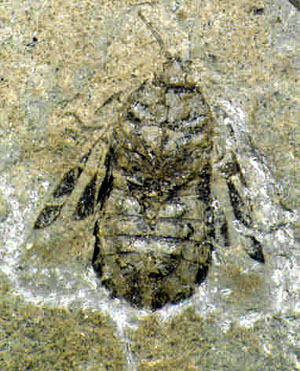 Insect remains with preserved contrast pattern of wings and body are not infrequent. Some large aquatic insects, especially dragonfly larvae, demonstrate a pinkish colour of their eyes, which disappears usually in a half of an hour, when exposed at day-light. 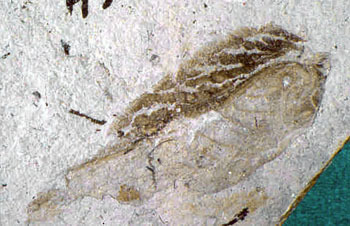 It is evident that rhodopsine or some other organic substance rapidly decaying after a contact with air is chemically preserved.